The young woman gave birth to two children while living in the caliphate and is now pregnant with a third. 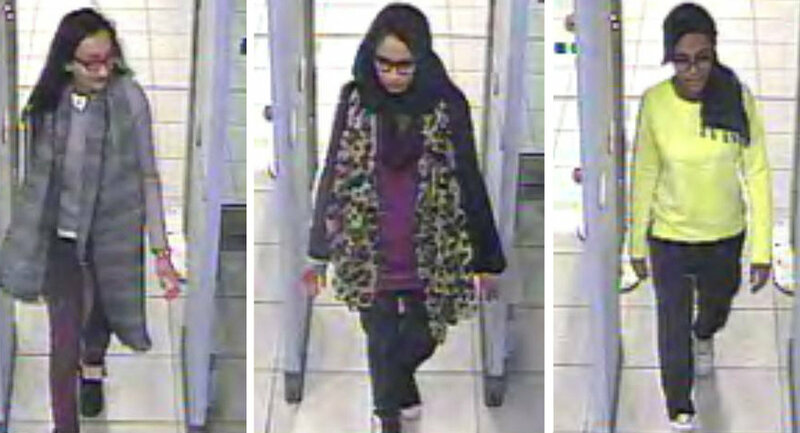 Shamima Begum, a UK teenager who ran away from home to join Daesh at 15, says she wants to come back home. The Times reporters have found her in a Syrian refugee camp. "I'm not the same silly little 15-year-old schoolgirl who ran away from Bethnal Green four years ago", she told reporters. During her time in the in the caliphate, Begum gave birth to two children, who subsequently became ill and died. She says she's afraid for her third child now. She said the death of her children was the reason she fled the nearly destroyed terror group. — Mikey Kay (@MikeyKayNYC) 7 марта 2015 г. ​"In the end, I just could not endure any more", she told The Times. "I just couldn't take it. I was also frightened that the child I am about to give birth to would die like my other children if I stayed on. So I fled the caliphate. Now all I want to do is come home to Britain". Begum married Yago Riedijk, a Dutch convert shortly after coming to the city of Raqqa. He was accused of spying on Daesh and tortured, but evaded execution and remains alive. Begum said she last saw him two weeks ago, when the couple fled from Syria's Baghuz, one of the terror group's last strongholds. Riedijk surrendered to a group of Syrian fighters, she said. The woman said she knew "what everyone at home thinks of me as I have read all that was written about me online". Despite that, she said she just wants to come home to have her child. "That's all I want right now. I'll do anything required just to be able to come home and live quietly with my child", she said. The UK Home Office said it does not comment on individual cases, adding that anyone returning from Daesh territory must face a criminal investigation, according to The Standard. "Everyone who returns from taking part in the conflict in Syria or Iraq must expect to be investigated by the police to determine if they have committed criminal offences, and to ensure that they do not pose a threat to our national security", Security Minister Ben Wallace said. Begum was one of a group of girls who fled Britain in 2014. One girl, Kadiza Sultana, is believed to have been killed during an airstrike, but Begum said a third girl, Amira Abase, along with a fourth, who fled to Daesh a year earlier, are rumoured to still be alive, The Times reports.